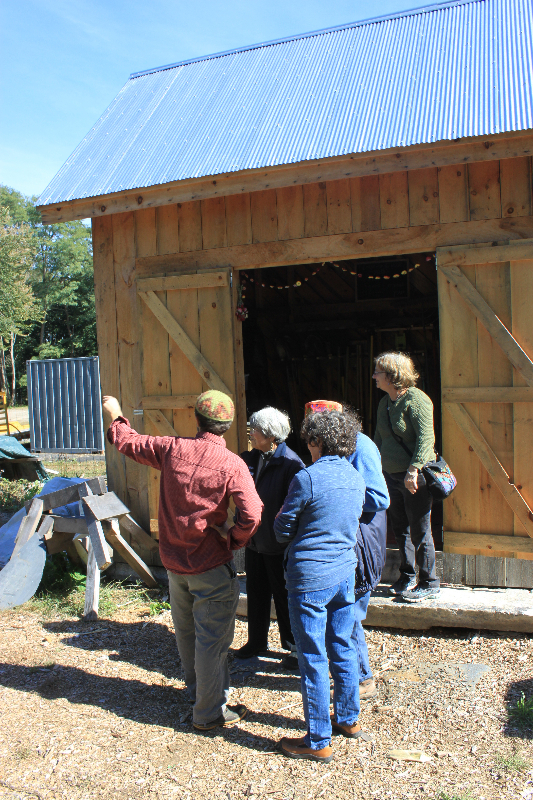 Thank you for supporting Abundance Farm's Rebuild the Shed Campaign! We are so moved by the outpouring of love and support that our community has shown in the wake of our fire. Thank you for making a tax deductible donation to help us rebuild with love. Early on Monday 10/9, our beloved Farm shed was burnt to the ground in a suspected act of arson. This structure was more than a shed. It was built as an act of love by community member Emmett Leader, together with a number of other community members and teens. In addition to housing our tools and supplies, it served as a kind of heart-center for the Farm and will be sorely missed. In addition to the beautiful structure itself, we lost many thousands of dollars worth of tools and supplies which were housed inside. Here is the article from our local paper if you are interested in more information. We hope to recover a good portion of our financial loss from insurance. It will take some time to have clarity on how insurance will play out. In any scenario, we expect to have some amount of financial burden that we need to cover ourselves. As part of the process of building a new physical structure, we will need to pay for site cleanup, architectural designs and replace all of our lost tools and materials. We have created a "Rebuild the Shed Fund." Any money that we raise above and beyond recovering our loss, will go to support the ongoing mission of Abundance Farm. You can make a tax-deductible donation here.